This is work I did as an employee of Tellart. 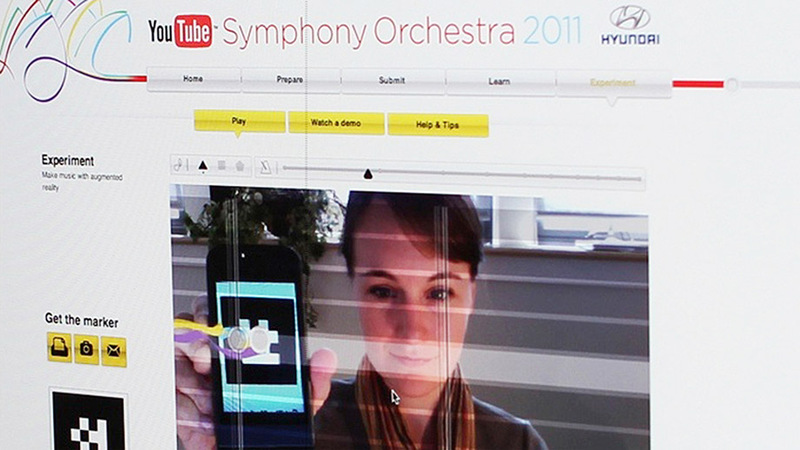 "The YouTube Symphony Orchestra AR Experiment is our addition to Google’s already excellent YouTube Symphony Orchestra, a project dedicated to gathering musicians from around the world for a monumental orchestral performance — something only Google’s technology and reach could do. Google came to Tellart in search of something to augment the YTSO online experience; they were looking for an online musical instrument that could be enjoyable for non-musicians, but complex enough to engage more advanced users. 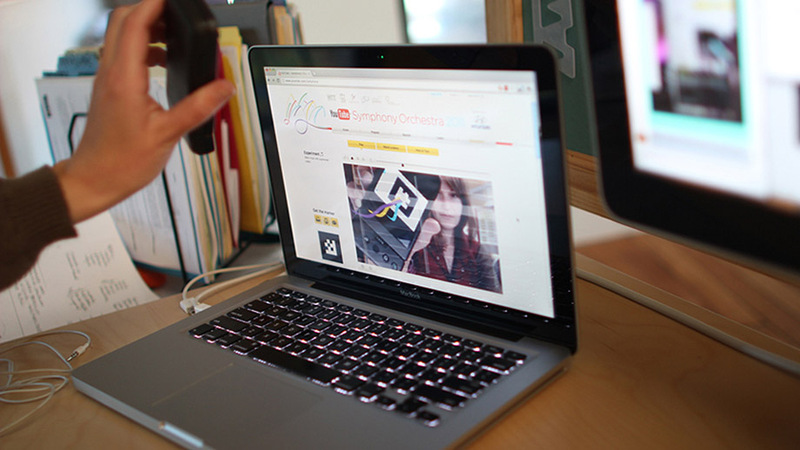 You Tube Symphony Orchestra in use.